The days of thinking you can’t afford to buy in this town are over. Sweet, well cared for brick Bungalow awaits some finishing touches from that special buyer looking to gain some space as well as equity. 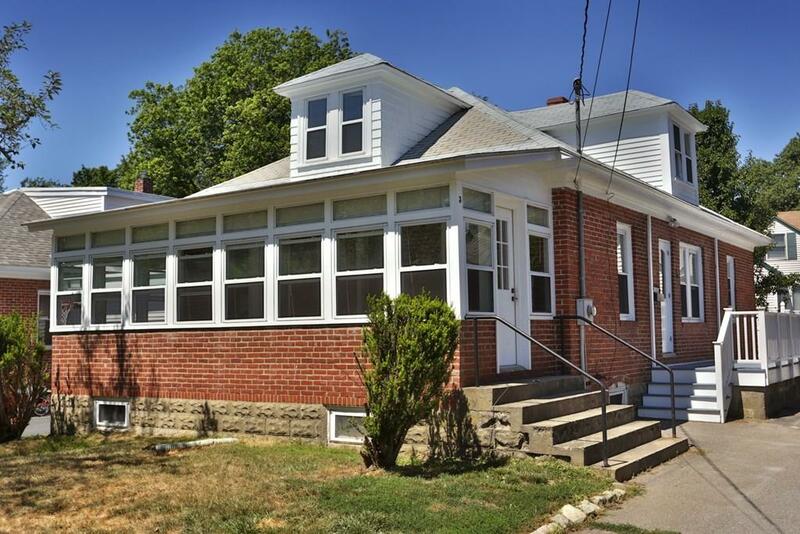 Located close to major highways, shopping, the amazing downtown and of course the tax free southern NH shopping madness, this current 2BR/1 Bath home, built in the 1920’s when Amesbury was the largest manufacturer of auto bodies in the world, will charm you the minute you walk in. All your living will be on the first floor . . . for NOW w/stainless kitchen and HW floors. But the second floor bonus space is available for the handy person to take full advantage of it and create another few hundred square feet for additional bedrooms and maybe another bath? Add to this a just-right cozy, fenced yard and detached one car garage and you can fully understand the value here. A very solid home ready to grow with you.